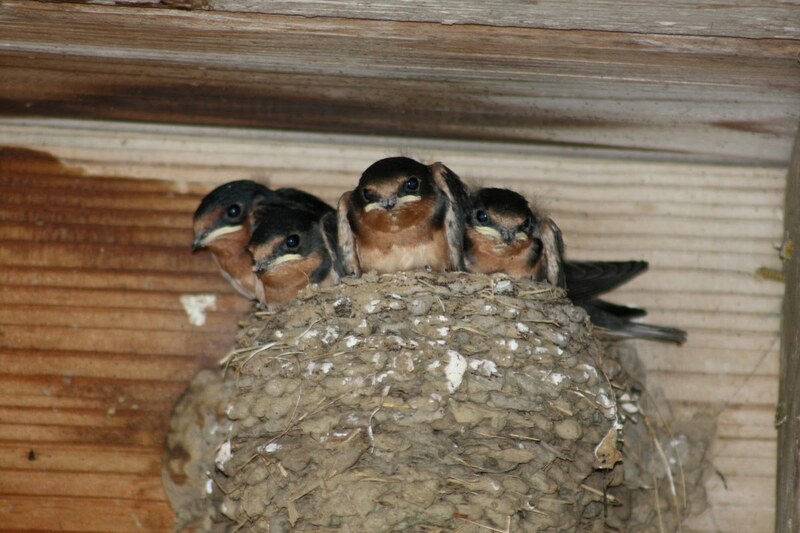 We have 5 new Barn Swallows at our house. 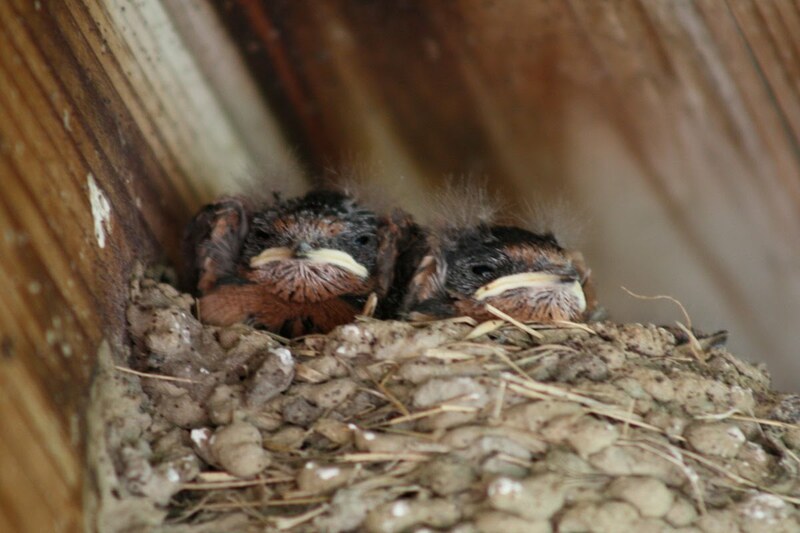 They hatched in their mud nest (braced by a random nail sticking out of the under-frame of our deck) at the begging of this month and learned to fly within the last 48 hours. This process of getting these 5 into the world started many weeks ago however. 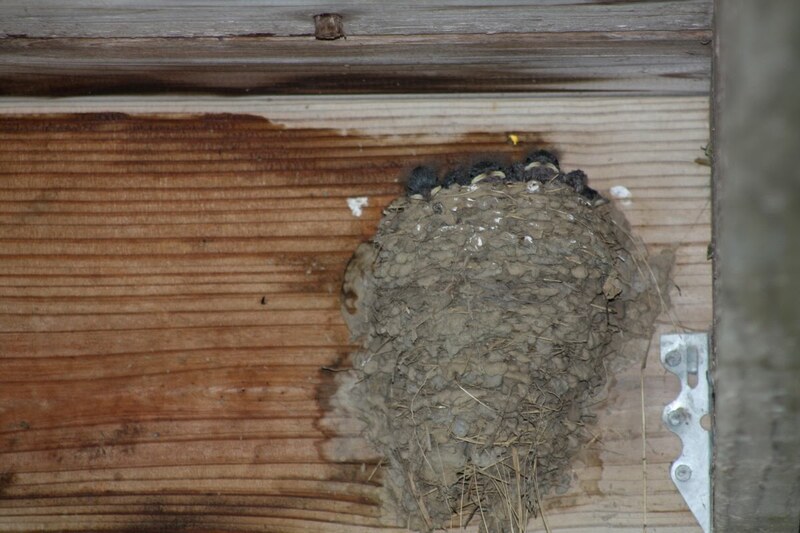 As is frequently the case, a pair of swallows prefers a nest on our deck over our deck lights. In so many ways, these birds truly are a “friend of the farm” since they eat a ton of insects and are appealing to look at with a soft song. 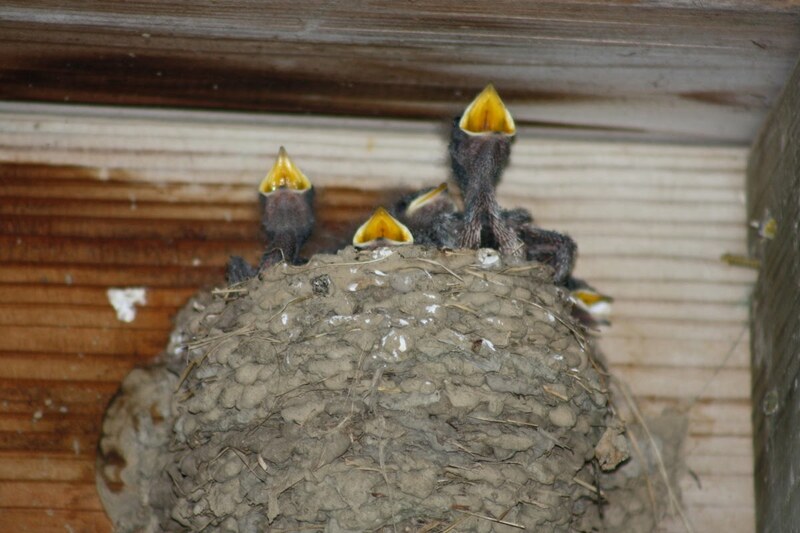 However, I did not want their nest on my deck outside of our door so round and round we went right light to left light and finally they found th eir current spot and I relinquished my efforts and began to admire the month-long process of the nest construction. We have had approximately 6 inches of rain since their mud nest was built and it is completely safe from this wet weather. 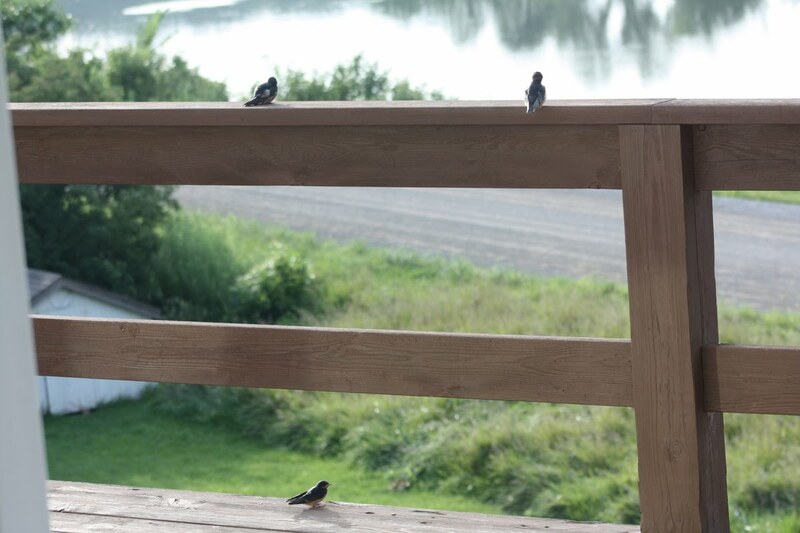 There are frequent cultural references to the Barn Swallow in literary and r religious works due to both its living in close proximity to humans and its conspicuous annual migration. The Barn Swallow is the national bird of Estonia. taken on July 11th and the last pictures, their day of flight were taken on the 22nd. What an amazing pace of of hatching to flying! Keerat described them as having little football helmets. It was as amazing to watch the adult birds, up to 15 at a time, keeping vigil on the power lines above. The way we see it, we have 5 more insect eaters living at our house! 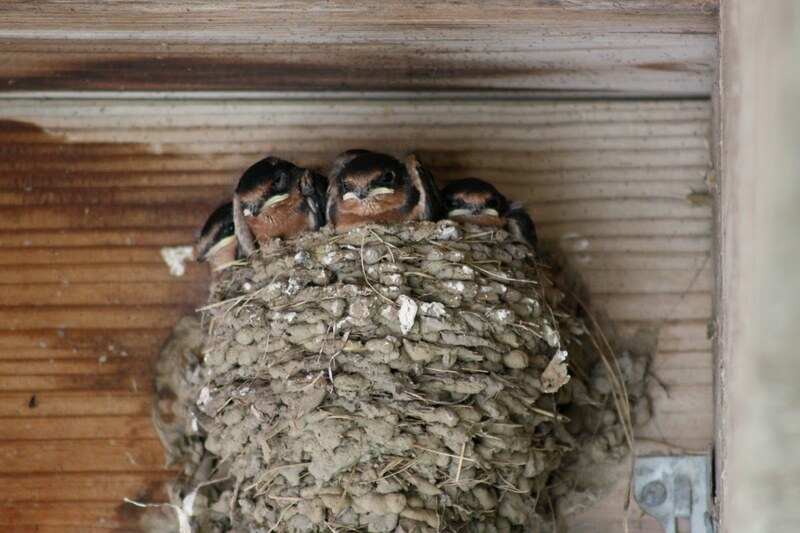 Their first day of flight took them to the deck to which their home was built. They spent all morning cleaning and arranging their new big bird feathers. There were 2 who took an extra day to leave the nest but all are officially fliers now.